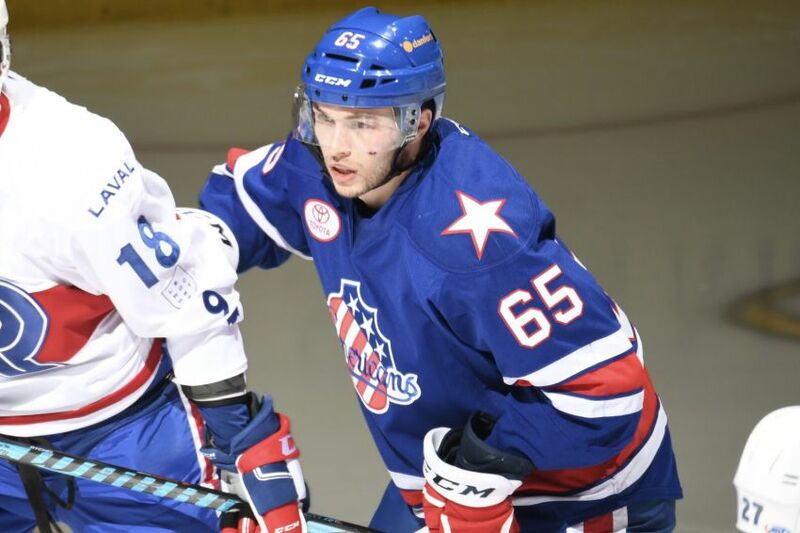 BUFFALO – Nine days after the Sabres acquired Danny O’Regan from the San Jose Sharks, they recalled the forward from the Rochester Americans this morning. So, O’Regan will play tonight against the Calgary Flames, right? Well, not exactly. Winger Seth Griffith will return after a one-game absence. Meanwhile, with center Kyle Criscuolo (upper body) out, Benoit Pouliot, a winger all season, will skate in the middle. Griffith skated at left wing beside Pouliot and Nick Baptiste this morning. The Sabres also play Thursday in Ottawa, so O’Regan, the only player they received in the Evander Kane trade, could debut soon. Whenever O’Regan, the AHL’s top rookie last season, makes his Buffalo debut, he understands he has something to prove. “I try not to put that pressure on myself, but being a part of the Evander Kane trade – it’s not like it was a one-for-one deal, but I want to show the organization I can play hockey sometimes,” said O’Regan, who sported No. 65 this morning. Housley, understandably, might not want to tinker with the lineup too much. The Sabres are 4-2-0 in the last six games and 7-5-1 in the last 13. Remember, the Sabres only have 21 victories all season. What has changed? “It’s belief, it’s confidence,” Housley said. “You look at early on, there were a lot of one-goal games, we didn’t come on the right side of them, and that can have an affect on a team over a long period because you lose confidence, you lose trust. I think we’ve built that trust back in each other right now. It comes with success. The Flames, meanwhile, have lost four straight games (0-3-1). “They’re three points out of a playoff spot, they’re talking about this as their season, these next two games against us and Ottawa, so we’re going to have to match that desperation,” Housley said. Goalie Chad Johnson will start for the Sabres. David Rittich will oppose him.